Mankind was spiritually lukewarm and lawless in the ancient times in which David lived. David begged God in this divinely inspired scripture verse to intervene in this great wickedness. Nothing about the spiritual flavor of society has changed for the better since this time. In fact, as the Bible plainly tells us will happen evil is an unending cycle waxing continually worse as days go by. The presence of spiritual lawlessness has nothing to do with any deficiency of God for He never changes (Hebrews 13:8), but this lawlessness has all to do with the dark and defeating spiritual nature at work inside lost hearts of mankind. No man can void God’s law or bring an end to this corruption and lawlessness no matter how hard he may try on his own accord. To do so, would mean that the divine will of God would be successfully sidestepped by man and his accomplishments would become the law of the land. This scenario will never happen because God introduced His law and then settled it forever by sending His Son as a sacrifice for sin upon the cross of Calvary over two thousand years ago. 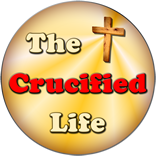 God’s sacrifice was the only one which could eternally eradicate the presence and problem of sin and give credence to the eternal nature and law of God. God’s law is the original. The one and only law. The plan of God has been repeatedly tried and tested and found to be eternally true. God does not change, therefore, neither does His Law. 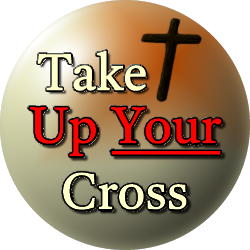 God sent His Son, Jesus Christ, to complete, or place the spiritual icing on the cake upon the cross of Calvary.